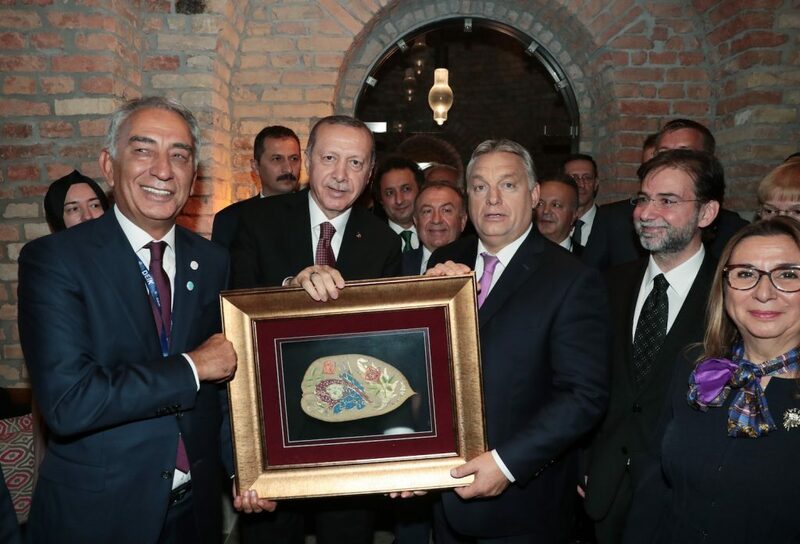 The Turkish businessman Adnan Polat, who stands in the focus of the Erdoğan–Orbán axis, has transformed Hungary to a procession area of the wealthiest class of his compatriots: he and his fellows are already controlling 25 Hungarian business interests – and this is just the beginning. Válasz has investigated that the same group rounds up the territories for the gigantic solar park network of the Istanbul conquerors that serves the trustees of prime minister Viktor Orbán’s son-in-law, István Tiborcz. But why does the Hungarian government let foreigners own the majority of the solar industry which could otherwise function in national or classic market environment? Once upon a time, business newspapers or market sections dealt with every single strategically vital development – for example in the energy market – for weeks. Those times have passed. 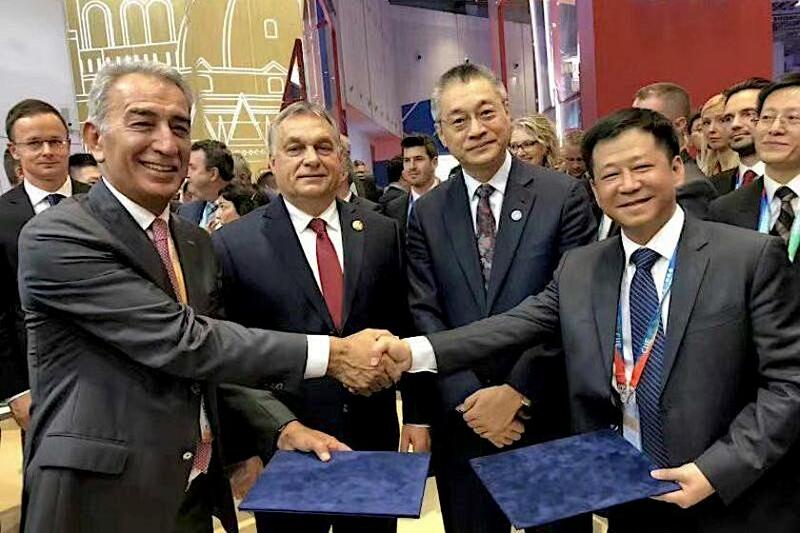 During the past weeks, it was only a snap news that during Viktor Orbán’s visit to China a local state-owned group named Powerchina has signed a contract with Adnan Polat who was a member of the Hungarian prime minister’s delegation. 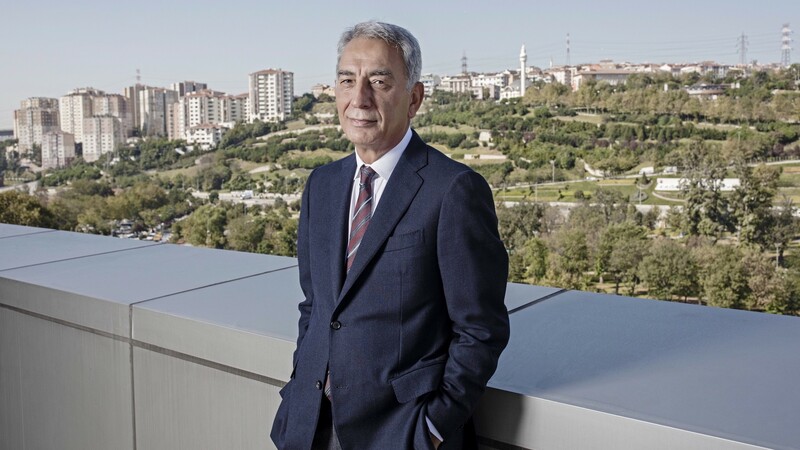 Mr. Polat, a former president of Galatasaray football club, is a sport-fan tycoon from Istanbul who already appeared in Mr. Orbán’s company various occasions and while doing so, he has announced in the Turkish edition of Forbes Magazine that he was about to establish a 1000-megawatt solar park network in Hungary. a Turkish oligarch is currently settling down on Hungarian soil to make abnormal profit, using Chinese technology and public money while enjoying the blessing of Mr. Orbán. The Chinese connection is the least concerning. An old rule of governing is that if there is a lack of domestic industrial knowledge and experience, the government should encourage foreign import. One has to admit that Hungary, unlike China, is not a solar-panel-developer country but it has managers who are able to develop sunny lands and relevant projects. Yet, Hungarian medium enterprises have almost no chance to gain energy from the Sun as Mr. Orbán is using his personal authority for the sake of Mr. Polat. The Turkish partner has already begun to systematically take over those independent project companies that own the permission to plant solar parks. He purchases dumping-priced Chinese technology and about to be granted with Hungarian state subsidies. What kind of subsidies are those? Participants of solar business could apply for the so-called mandatory reception subvention (Hungarian abbreviation: “kát”) till the end of 2016 which means with state support they can sell electricity above the market level for an additional 25 years. Banks happen to admire guaranteed incomes therefore easily provide credits for these bullseye businesses so one can dream big even with trifling own resources. However, many entrepreneurs wanted to exploit “kát” by forwarding their approved project plan to a bigger fish with meaningful profit. Following the exit of “kát”, the EU has approved the new Hungarian green incentive, named renewable subvention system (Hungarian abbreviation: “metár”) with the help of which the state jogs only professionally assembled, promising projects. Mr. Polat appears to be omnivorous as he needs “kát”- as well as “metár”-compatible items. To reach his goal, he has registered a company for solar energy in Amsterdam (named HSWE Investments B.V.) through which he exploded into the Hungarian market after the election in April 2018. The Polat–HSWE network already owns 4 “hub firms” headquartered in Budapest as well as 14 recently-purchased-or-founded project companies – each of them responsible for giant solar park developments in the countryside. Not irrelevantly at all, as director for legal and regulation issues the Turkish partner has hired Gábor Farkas, the former chief of staff of the state secretary for energy at the one-time (2010–2018) Ministry for National Development. Mr. Farkas was also a board member of MVM Partner Energy Trading Ltd. In addition, as the Hungarian investigative watchdog Átlátszó has learnt, Balázs Szeghalmi, a member of the Orbán family, is also hired by HSWE. Watch out, an Elios boss! Although Mr. Polat’s energetic master plan is most probably a business secret, it becomes gradually obvious that the Turkish tycoon’s Hungarian business procurers are two local Ltd.s, ezTrade and Midority Holding – the latter one is currently under liquidation. Both engineering–consulting companies are under the ownership of Péter Szelei; not so long ago, during a public hearing in front of the council of Pest county’s Dömsöd village, the CEO openly admitted he was hunting for real estates however he was not representing himself but a multinational investor. Válasz has learnt that in the past 2 years Mr. Szelei obtained officially approved solar park plans in the neighbourhood of Dömsöd – in Apaj village as well as in the town of Nagykőrös – and in several villages in Veszprém county. The majority of these approvals have landed at the 14 projects firms in Mr. Polat’s orbit. During our time at Heti Válasz weekly, we already wrote about Mr. Szelei but now we are able to present an online proof that his ezTrade Ltd. has prepared the solar park in Szabolcs-Szatmár-Bereg county’s Gyüre village. Here however, the final user was not the Polat Group but four companies – Solar Engine, Finasys, Napraforco-Operation, Békés Solar Ltd. – in the orbit of Gábor Sájer, László Dicső and Ferenc Figura. These men matter because, alike Mr. Polat, they are within reach of the so-called Hungarian “national bourgeoisie” (read: wealthy pro-Orbán entrepreneurs). Mr. Sájer happens to be former CEO of Elios Ltd., the one-time company of István Tiborcz (Viktor Orbán’s son-in-law) which has failed the probe of OLAF, the European Commission’s anti-fraud office. He stayed close to Mr. Tiborcz however, as his Solar Engine Ltd. – the one involved in the project in Gyüre – was registered under the address of Mahart House, a representative office building in downtown Budapest, partly owned by the prime minister’s son-in-law. László Dicső is from the town of Mátészalka and once headed a company of László Szíjj, the CEO of the government’s favourite highway-construction firm, Duna Aszfalt. Ferenc Figura is his close business fellow. Although the three men’s green energy project in Gyüre cannot compete with the magnitude of Mr. Polat’s expansion, it does not prevent the Hungarian state to be attentive to them. According to the collateral registry, the Hungarian Development Bank provided them a discount credit of 4 bn HUF (12,4 mn EUR) to purchase 42.000 solar battery modules. In addition, as the Hungarian economy news site G7 has noticed, a formerly suspended EU tender was reopened for one day ahead of this year’s election. And now back to the Turks who are even more fortunate! Using plural seems essential because the aforementioned Mr. Polat has pulled several top Istanbul tycoons into his expansion in Hungary. For instance, he co-owns one of his Hungarian hub firms – DNN Solar Partners Ltd. – with the Derelis, a family that often glamours in the local tabloid newspapers while being the Turkish partner of the well-known automotive manufacturer giant Federal-Mogul. In his other hub firm – named KP Solar Ltd. – the Demirers are the other stakeholders. They are tied with Mr. Polat in Turkey too but there they have besprent their homeland with wind turbines. Aside from the energy sector, Mr. Orbán’s Turkish friend gained significant positions in real estate market as well. He got the ownership of Spitz Villa in central Budapest together with Mr. Tiborcz but the prime minister’s son-in-law, in order to prevent suspicion, left the business after an application was to submit to win public money for monument-preservation subsidy (read: design of luxury office). On the other hand, the aforementioned Dereli family is becoming increasingly active on Mr. Polat’s side: apart from the solar business, they became his partners in a real estate developing project in central Budapest. As we have already mentioned it in Heti Válasz, the site of former public abattoir (and the scene of a planned brand new district) in Budapest has also become the property of Mr. Polat but he is not exclusive owner here either: two of the Turkish heavyweight business families – the Çarmiklis and the Özaltins – have joined him. Their corporations – Nurol Group and Özaltin Holding, being in consortium – are the constructors of the most significant Turkish highway project so far, linking Istanbul and Izmir. As we have referred to it multiple times, Mr. Polat’s solar business in Hungary is being developed in strong government tail-wind but he enjoys the same privileges in real estate business too. As the Hungarian economy weekly HVG has made it clear, the cabinet clears every official barriers that could delay the reconstruction of the Budapest abattoir’s site by granting the project the grade of “special importance of the national economy”. According to the plans, 1232 flats, 45.000 sq metres of office, 200 hotel rooms, underground garages, restaurants and malls will be built. By adding the recent information of Átlátszó, that a pro-Erdoğan politician’s family got the ownership of several representative buildings in downtown Budapest, the Turkish influence could be seen as a conquest. Not to mention that Mr. Polat also conducts cultural diplomacy through an association named after the Ottoman dervish Gül Baba and between 2014 and 2018 he also got the right – and billions of forints of Hungarian public money – to operate the so-called trading house which was supposed to boost the bilateral economical relationship between Hungary and Turkey. His success was moderate. So who is Adnan Polat? A “delegate” of president Erdoğan to Hungary or a personal discovery and football friend of prime minister Orbán who now plays as foreigner in the Hungarian “national bourgeoisie’s” league? We cannot prove the former one with reliable data but we consider this article as a proof of the latter one.